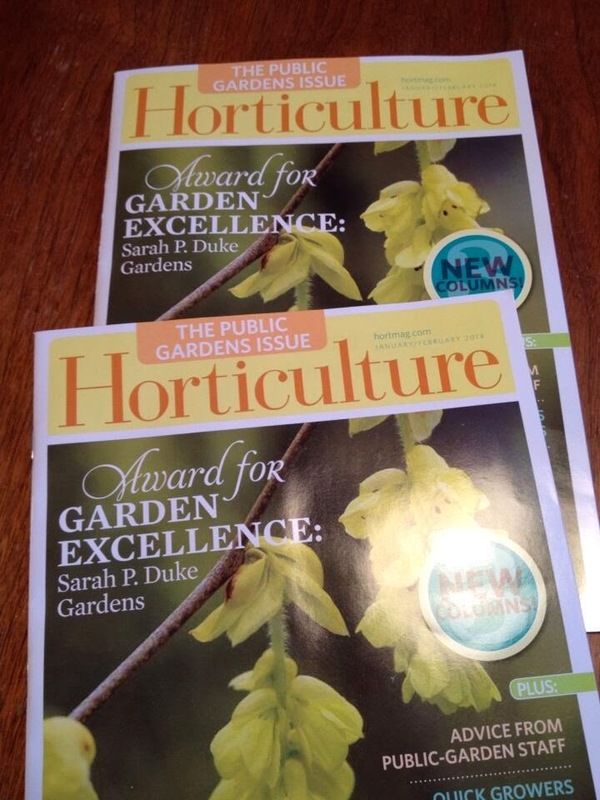 Niki Jabbour - The Year Round Veggie Gardener: The Hope Seeds catalogue has arrived! 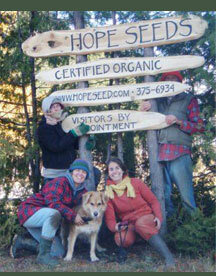 The Hope Seeds catalogue has arrived! I really love seed catalogues.. a sentiment I think most gardeners share. I tend to collect piles of them around the house, leafing through them whenever a few spare moments can be found. In case you missed it, here's a recent post about some of my favourite seed companies. Yesterday the 2012 Hope Seeds catalogue arrived - perfect timing, just as we were leaving for the kids music lessons! So, I spent the hour immersed in pages of this incredible Nova Scotia company owned by Andrea Berry. In fact, much of the seeds offered in the catalogue have been grown by Andrea, something that truly impresses me especially with the rise of the world's largest seed company, Monsanto. Yikes! And, if Andrea didn't grow her own seeds, she tells you who did. Like Wild Rose Farm in Gilbert's Cove, NS or Mapple Farm in Weldon, NB. Love it! So, now that my seed form is filled out and ready to mail (isn't that a treasured annual ritual too?) I thought I'd share my order with you. Keep in mind that my seed boxes are still rather full and this is just a top-up.. if you're interested in learning more about any of these veggies, I'd recommend that you go to their website and sneak a peek or even better, order a catalogue of your own! Purple Peacock - Early, relatively tolerant of cool late spring soil and a heavy producer of jewel-purple beans. Yum! Mennonite Purple Stripe - A new one for me, it sounds fantastic! 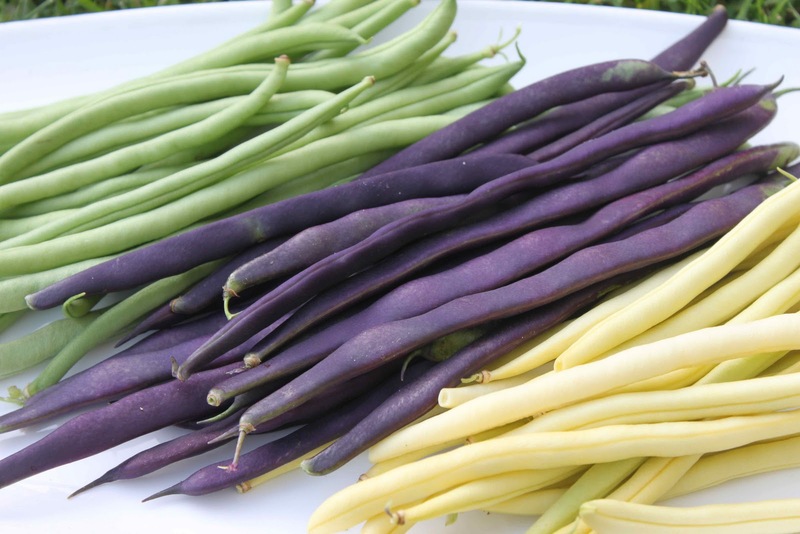 Vigorous vines, purple flowers, abundant pods that are green and purple streaked. I'm in! 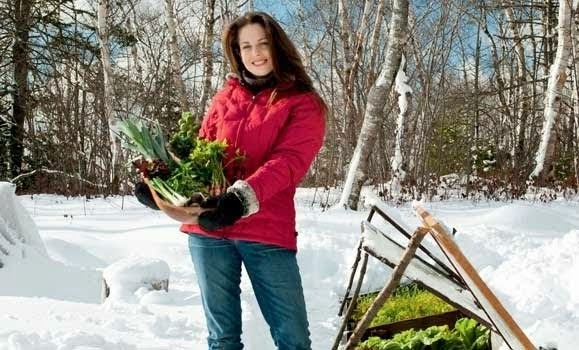 Bull's Blood - great for deep green baby salad greens - even in the winter cold frames! 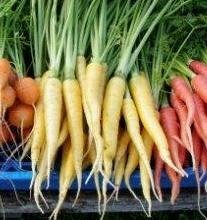 Atomic Red - A family favourite, this unique carrot produces deep red roots that actually get redder when cooked. Jaune du Doubs - A yellow carrot - inside and out. Giant Prague - I just dug up a few celeriac yesterday from under the winter mulch and they were so aromatic and delicious! 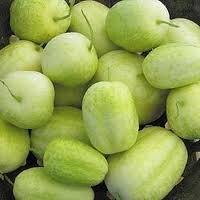 I can't wait to try this one, which is said to grow larger then traditional varieties. 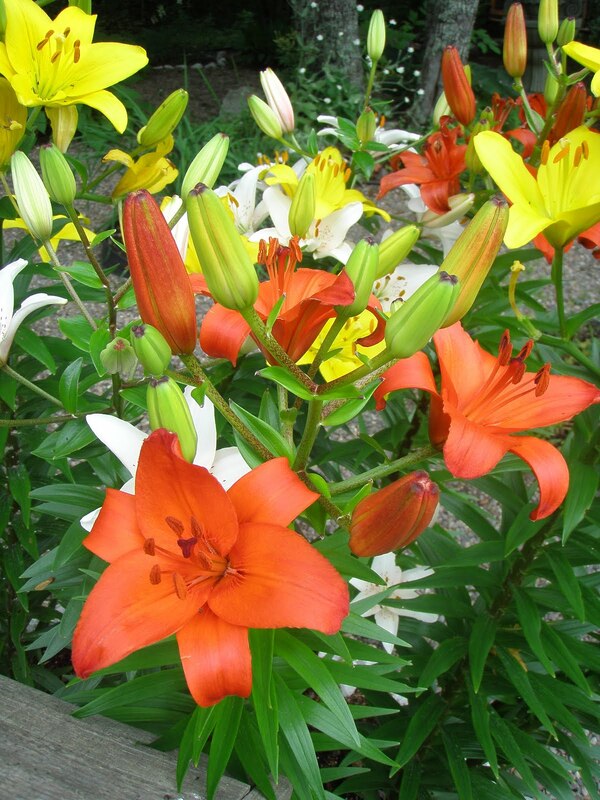 Mideast Prolific - Another annual must-have in our garden. These are the baby cukes from the grocery store that are so expensive!! Very prolific (as the name suggests) and just divine! Suyo Long - A Japanese cuke that is beyond delicious. Crystal Apple - Just like our favourite lemon cukes, but the spines are white, not black. 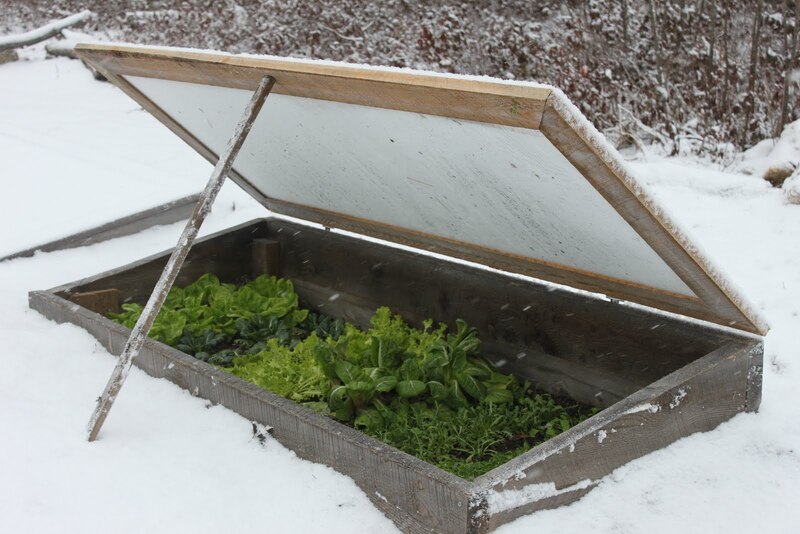 Winter Greens Mix - Brassicas for the cold! Great for cold frames.. nice to try a pre-made mix, rather than me always mixing my own. Ruby Streaks Mustard - My first year for this frilly ruby coloured mustard! Golden Frills Mustard - Another new intro for me, this will make a nice planting partner to Ruby Streaks. Rossa di Milano - A barrel shaped, long storage Italian heirloom onion with red skin. Jimmy Nardello - Grew this last year for the first time. Is also on Slow Food USA's ark of taste! Giant Winter - An open-pollinated spinach that is said to be very very cold tolerant. Can't wait!! Cocozelle - Yes. A must have. An Italian, bush variety that is simply amazing! Great for edible blossom production too. Costata Romanesca - Rich, nutty and wonderful. Said to be the only zucchini worth growing. Pattison Panache, Jaune et Verte - So excited about this one too. A scallop type with light green fruits that age to green and striped. Reisetomato - The first time I saw a photo of this tomato, I was astounded!! Click here to see a photo of ONE of these tomatoes. It's like a cluster of grapes and you just pick off each bump one by one. Fun! Thanks, Niki. You're turning my thoughts to spring, too. I'm certainly going to try a few on your list!